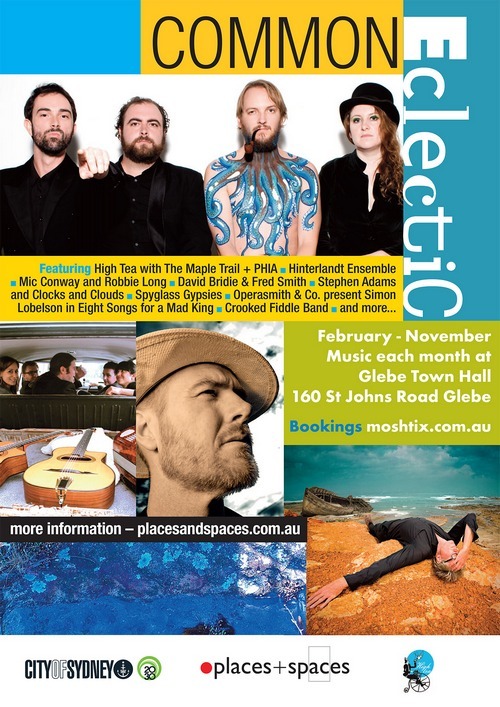 Places + spaces invites you to the launch of their series Common Eclectic, music in Glebe Town Hall. A musical showcase that flirts with intimate performances of comedy, music and magic, Indie artists, chamber opera, gypsy jazz or a twist on a string ensemble. A musical taster to whet the senses. The series kicks off with Sydney’s favourite folk club High Tea launching their 2015 season with The Maple Trail and PHIA in a double bill on Saturday 7 February. This special show features the sublime songcraft of Aidan Roberts and the kalimba-toting Phia. The Maple Trail is the project of multi-instrumentalist Aidan Roberts (Belles Will Ring, Lanie Lane, Tubular Bells For Two). Roberts has gathered a new collection of songs to follow 2012's acclaimed album 'Cable Mount Warning'. His music travels from his roots in traditional English and Scottish folk, skewed Americana and distinct vocal and guitar storyscapes. These are the latest tales of winter and summer, light and dark, love and loss, tigers and Tasmania. 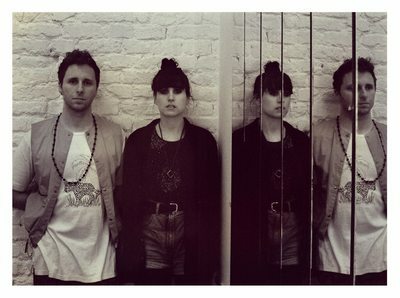 Joining The Maple Trail is Berlin-based PHIA - hailed by the European press as “one of Australia’s most underrated musical exports”. She creates “hypnotic, joyful and definitely danceable” music using nothing but an African Kalimba, her voice and a loop pedal, plus her producer/guitarist Josh. Artists include the Crooked Fiddle Band, Spyglass Gypsies, Stephen Adam, Clocks & Clouds, David Bridie, Fred Smith, Mic Conway & Robbie Lang, Hinterlandt Ensemble, Daniel Weltlinger, Simon Lobelson and more. THE KADIMA MUSICIANS COLLECTIVE is in the vanguard of creative improvised music in Israel. Focusing on fringe artists and their work, KADIMA supports and develops the rich cultural mix of Israeli artistic life. KADIMA includes a recording label and recording facilities in Jerusalem. It promotes and co-produces studio releases and concerts, and helps develop and connect musicians in the field of free improvisation and creative music. KADIMA was founded and is led by Jean Claude Jones, bassist and educator, and one of the pioneers of Israeli jazz.